Roll up, roll up, the Great Hive Book Rescue is on Wednesday. We are very much looking forward to welcoming you to The Hive, on Wednesday 3rd October, 12-2. Bring your wallet because we have 100s of books, all for the bargain price of 50p. 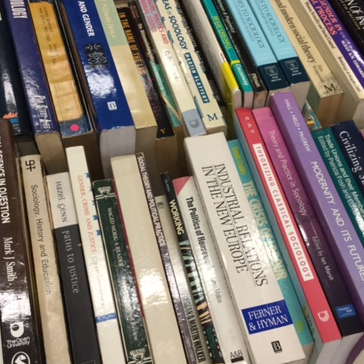 Academic books, text books, fiction, even cookery and kids' books, we have them all. And the proceeds are going to our excellent friends at Oxfam Books to help them continue their good works. Hope you find a bargain!